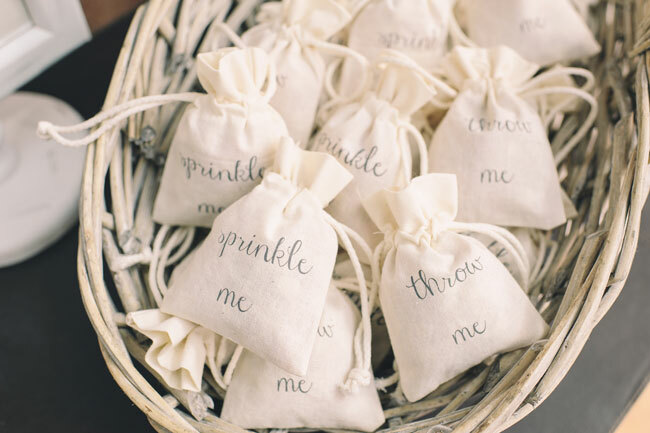 Throwing confetti over the bride and groom as they leave the ceremony is a long-standing tradition. Confetti now comes in all shapes, sizes and materials from paper to rice but the most popular is still real petals. This year our Throw Me and Sprinkle Me bags have been super popular, especially with brides planning a vintage or rustic wedding theme. A perfect choice for summer weddings, bunting can be draped between trees in the grounds of your wedding venue, from the ceiling of marquees or even from the front of your top table. 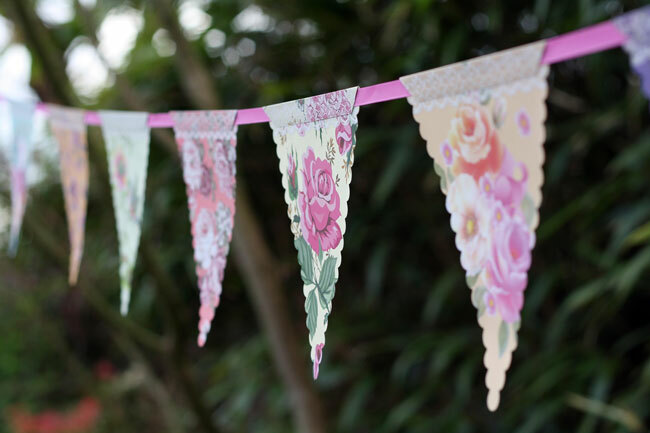 Depending on your wedding style, choose floral bunting, bright mis-matched bunting or bunting that spells out Just Married. For summer weddings there is an ever-growing trend of decorating outdoor spaces and adding that personal touch to your wedding. Large blackboard wedding signs are perfect for this. 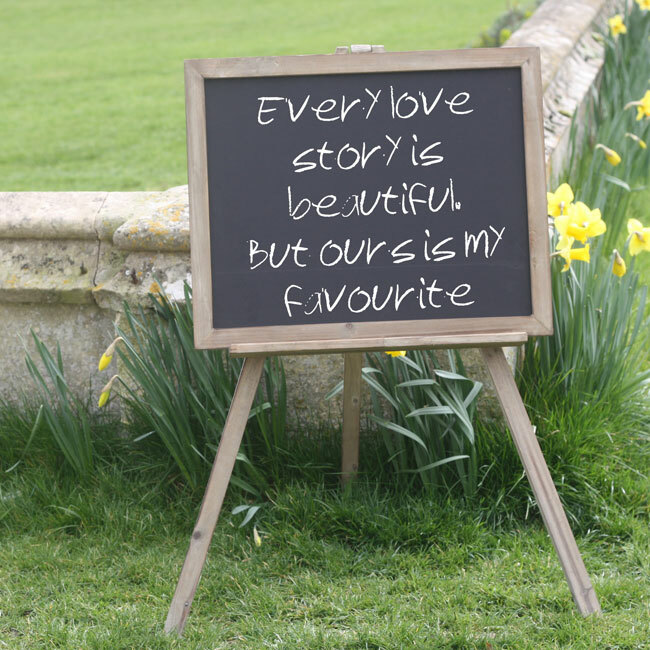 Write messages to your guests, cute romantic sayings about love or even your Instagram hashtag on the blackboards to make them personal to you. Our hands down most popular centrepiece for a summer wedding at The Wedding of my Dreams is a simple jug in the centre of your table. Jugs filled with beautiful scented summer blooms are perfect for a country garden style celebration. 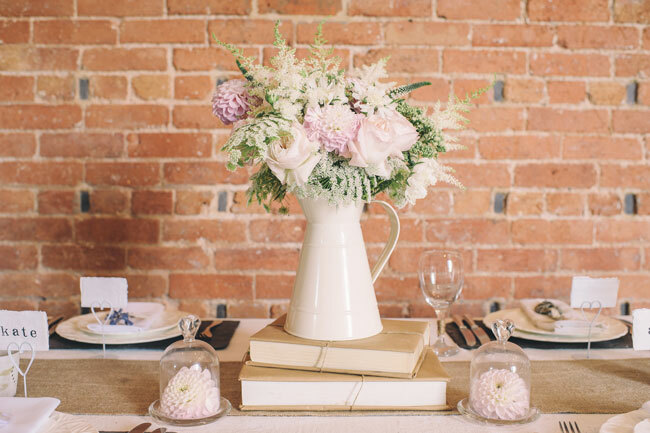 A nice idea is to pick a special guest on each table to take the flowers and jug home as a gift after the wedding. Another popular style for summer weddings this year is rustic. 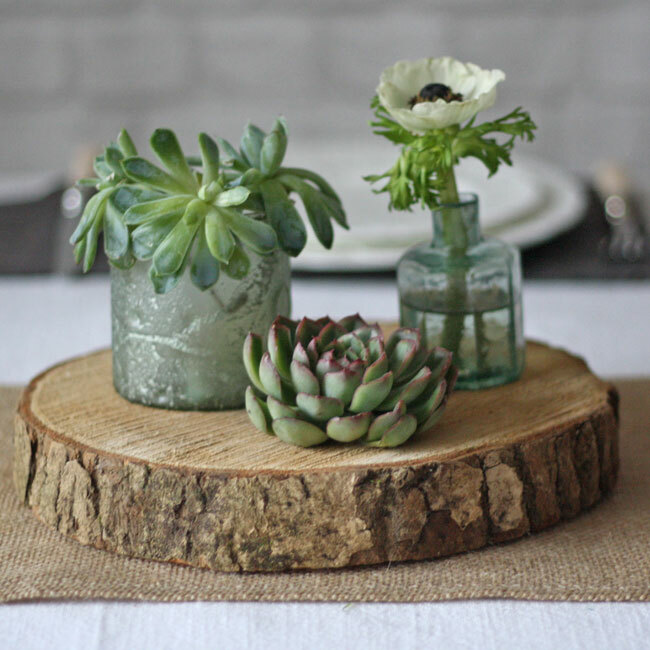 For a relaxed, festival vibe, simply group a mixture of jars and bottles on a tree slice – it looks fab as a centrepiece! These name card holders not only hold name cards but also a tiny bloom, perfect for the summer, a sprig of lavender, gypsophila or astilbe the choice is yours. 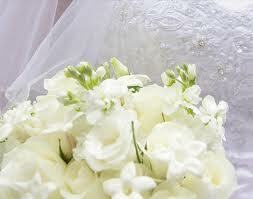 Be sure to choose a flower that complements your wedding style. The bud vase card holders double up as wedding favours, too, leaving your guests with a gift that will remind them of your special day. 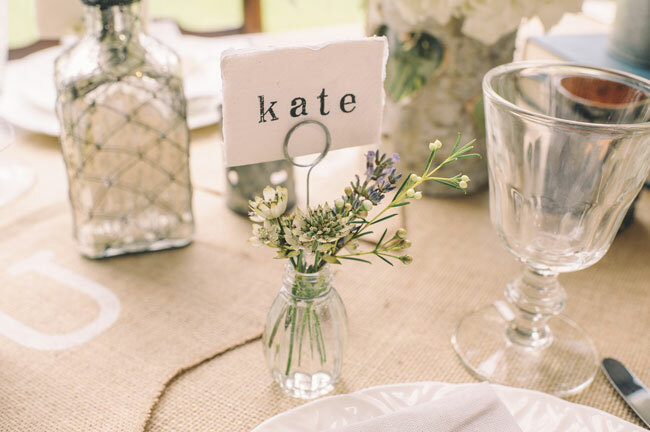 Have you thought of using your wine bottles to display your table numbers? 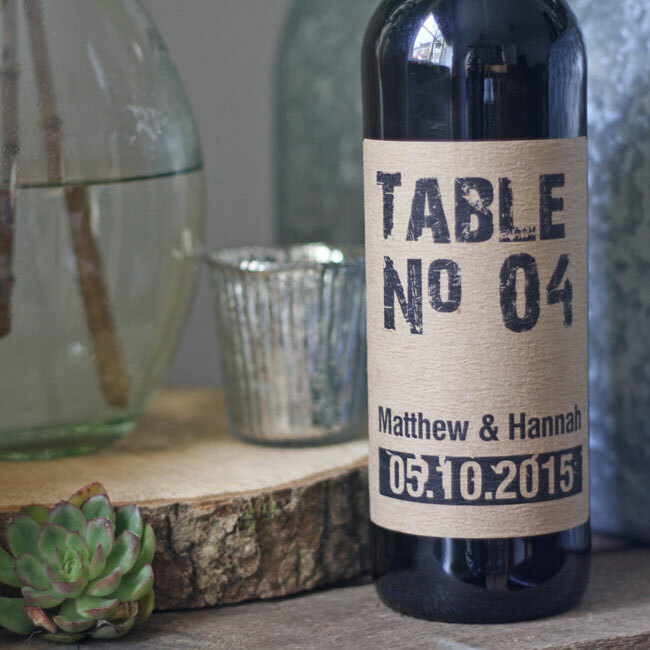 Our personalised wine bottle table numbers have been so popular in the run up to summer this year. Not only do these give your wine bottles a personalised look but they also save space on your tables too, not having to have a separate table number displayed.